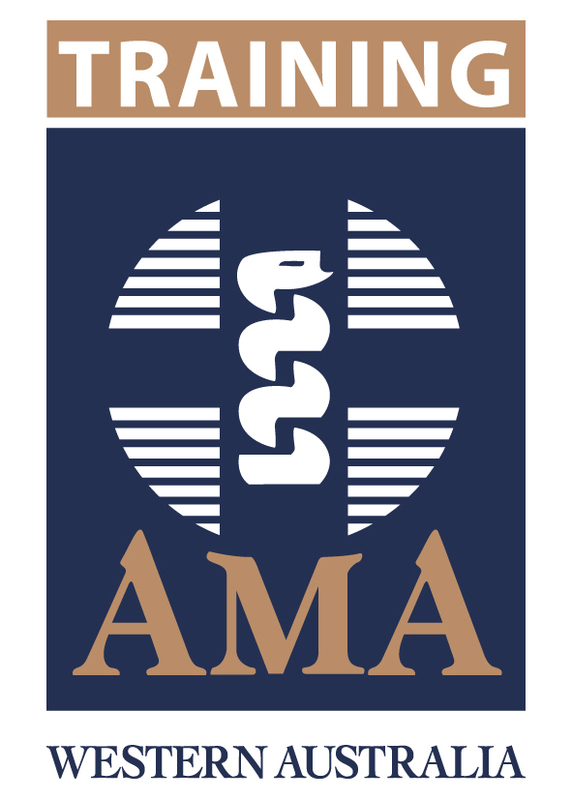 The AMA has a proud history of supporting and delivering training to the medical field, dating back to our inception in 1898. That’s 120 years of tradition that you will benefit from when you choose to study at AMA Training Services. Healthcare is a globally unifying need and one that each country works hard to improve. Highly skilled staff are the very heart of any healthcare system. The healthcare community is known for its willingness to work together, collaborate and share ideas. These are the very traits that embody our vision for AMA Training Services as we strive to develop the healthcare managers of the future. Healthcare is a complex field, requiring professionals from many different disciplines. Successfully leading and managing healthcare organisations is a growing challenge around the world. Dynamic leaders are required to tackle the competing demands of sustainable and quality healthcare provision. To master this skill is to create a world of opportunities in an industry that never sleeps, whose demand is not linked to traditional economic cycles and where innovation is a staple of everyday life. AMA Training Services offers an exclusive and executive learning experience, where quality training outcomes underpin everything we do. 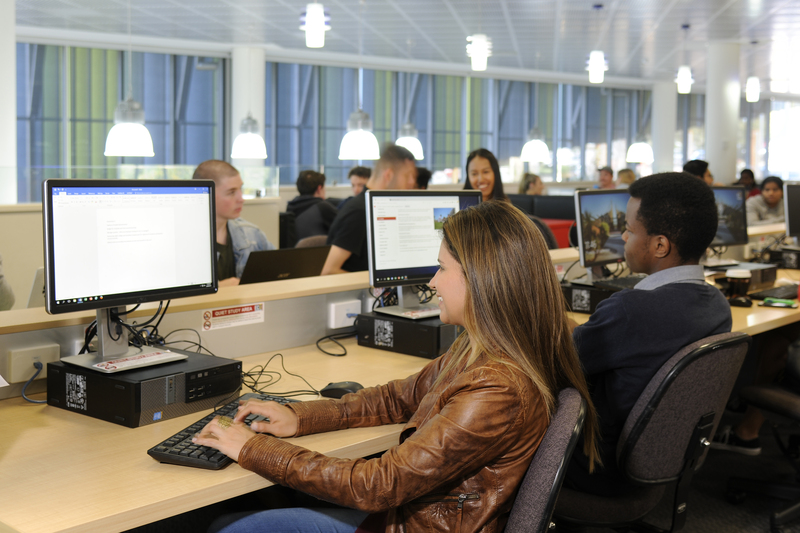 Our courses are designed to provide you with a premium education, such as our high-technology learning facilities, university partnerships, high-quality learning materials and industry-recognised staff and lecturers. Why Study With the AMA? When you study with AMA Training Services you will have access to a rich learning environment, industry-experienced trainers, high quality training materials and a friendly team geared to supporting your learning journey. Our courses are developed with our in-depth understanding of what the health industry is looking for in its workforce. AMA Training Services is based in Perth, Western Australia. 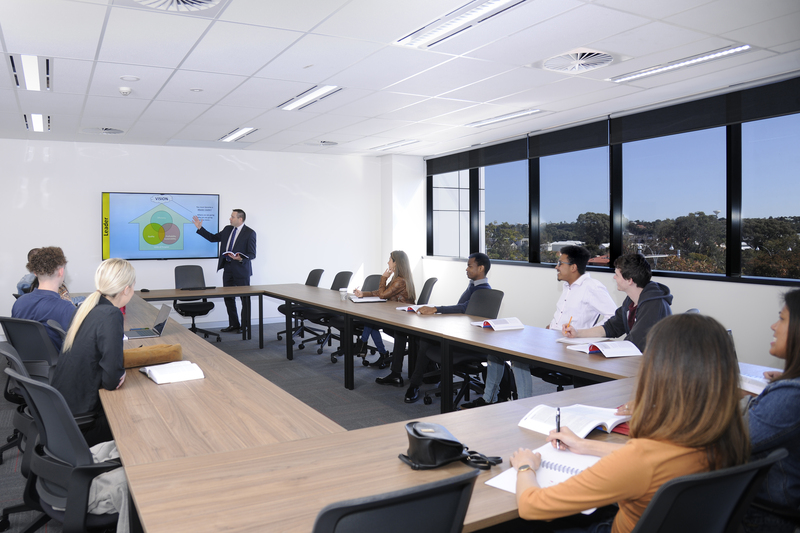 Our classroom-based courses are delivered at numerous locations around Perth and in rural Western Australia. 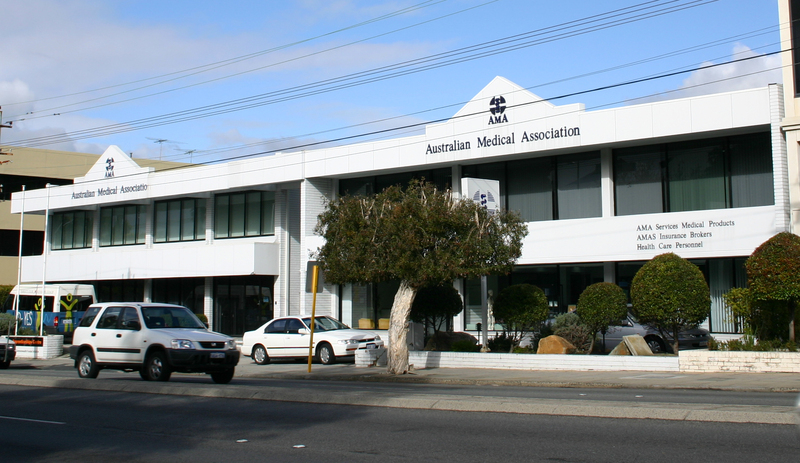 Our head office is in Nedlands and our ever-popular Medical Reception course is delivered in our traditional building on Stirling Highway. 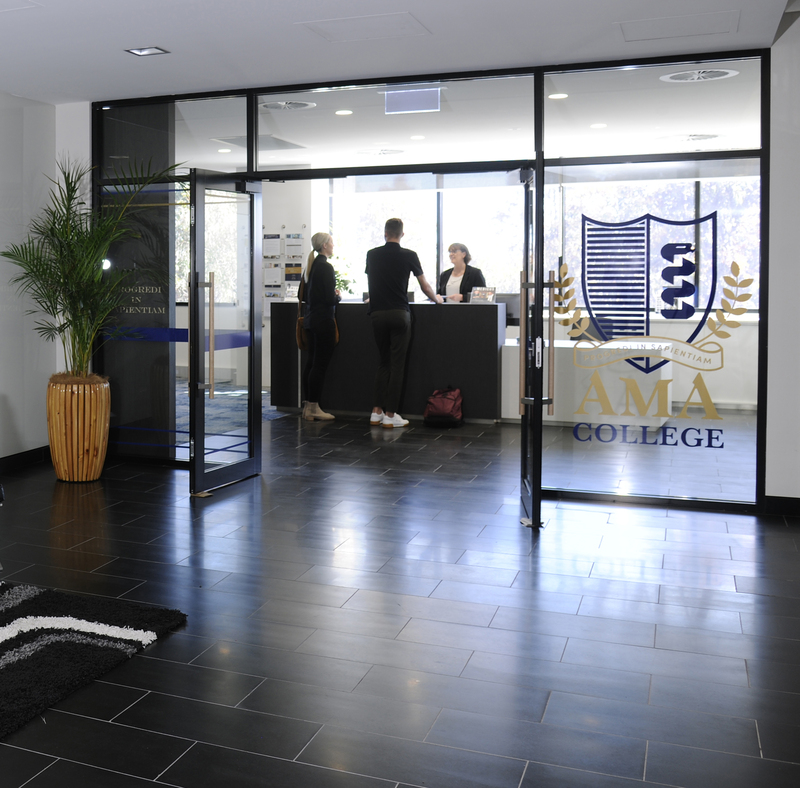 Some 26km north of Perth, in the City of Joondalup, our AMA College is located. 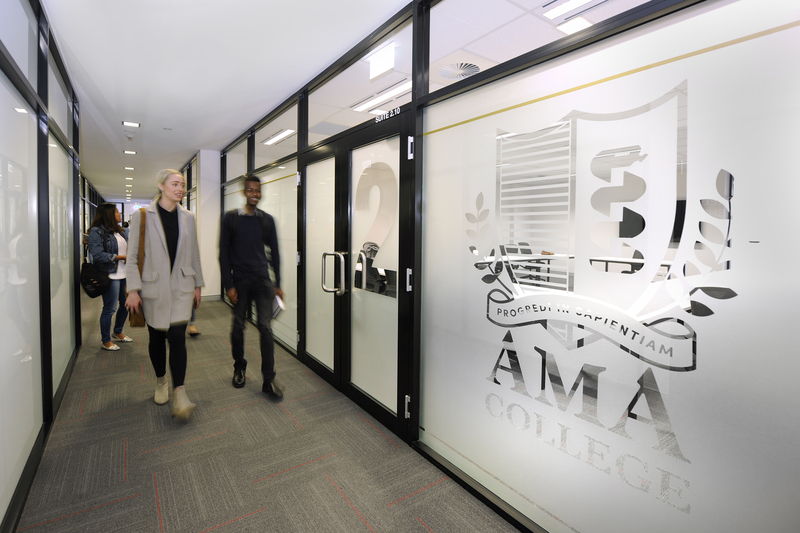 Housed in a new high-technology equipped building, AMA College is set to house students from Australia and all over the world. Rural facilities are sourced to deliver our high-quality courses to health facilities in remote Western Australia. This course has been specifically designed for middle managers, or aspiring managers, working in a health, aged care or community setting. 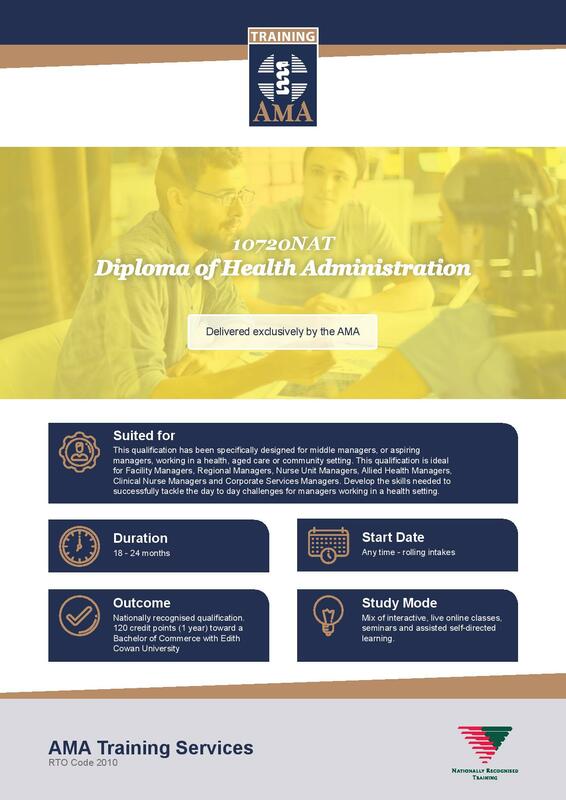 It is ideal for Facility Managers, Regional Managers, Nurse Unit Managers, Allied Health Managers, Clinical Nurse Managers and Corporate Services Managers. Develop the skills needed to successfully tackle the day to day challenges for managers working in a health setting. This course is suited for people working, or seeking to work, in supervisory or management roles in a health practice. Develop skills in providing leadership and guidance, in taking responsibility for the effective functioning, viability and performance of the team and its workplace outcomes. 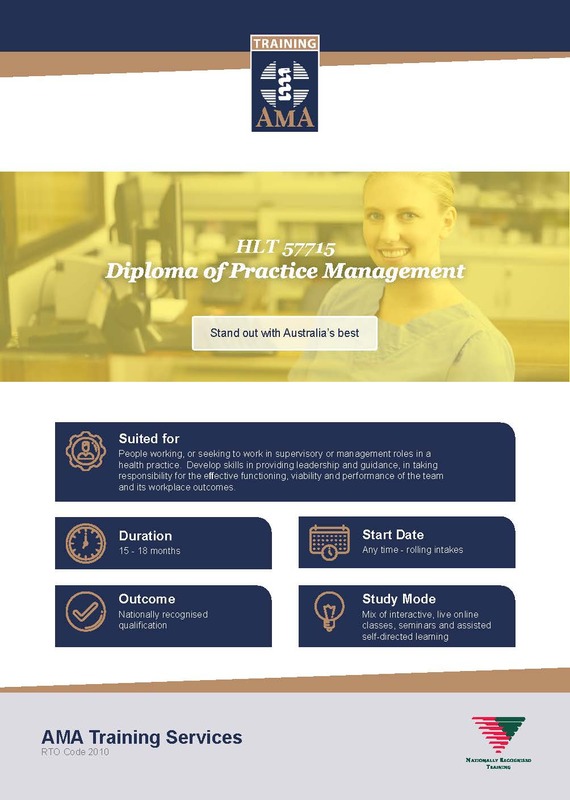 AMA Training Services offers a simple enrolment process via our website. Most of our courses do not require any specific entry requirements, though appropriate language, literacy and numeracy skills are expected. Assisted Study Program – The ASP guides students through two units of competency per school term, supporting their studies with weekly live online lectures in our virtual classroom. Throughout the term, students will also have the opportunity to attend workshops and seminars relevant to their studies. The online lectures and seminars are recorded, so can be viewed later if students cannot attend. Assisted Self Directed – (ASD) is unique to AMA Training Services and allows students to complete their assessments at a time that suits. Once enrolled students have access to a student portal allowing viewing of pre-recorded tutorials to accompany the student workbooks. The Assisted Self Directed delivery strikes a balance between equipping you with the skills you need to complete your studies and maintaining your work/life balance.